Nice & Reliable! **TRD Off-Road/SR5 Package**, **Cold Weather Package**, **Bluetooth®**, **Fog Lights**, **SIRIUSXM Radio**, **Towing Package**, **JBL Premium Audio, **Bed Liner**, **Heavy Duty Battery**, plus more! CARFAX One-Owner. Displayed in Super White with Graphite interior. RWD. 6-Speed Automatic Electronic Transmission. i-Force 5.7L V8 DOHC Motor. www.alfanomotorcars.com www.alfanochevrolet.com www.alfano.mercedesdealer.com Excellent Selection of New and Used Vehicles, GM, Chevrolet, Mercedes, Financing Options, Credit Union, CUDL, Proudly Serving San Luis Obispo, Paso Robles, Atascadero, Arroyo Grande, Pismo Beach, Nipomo, Santa Maria, Shell Beach, Avila Beach, Grover Beach, Santa Margarita, Templeton, Morro Bay, Cayucos, Cambria, Los Osos, Salinas, Fresno, Selma, Sanger, Visalia, Bakersfield, Ventura, Oxnard, 5 Cities, Central Coast, Gold Coast, Coast, King City, Santa Barbara County, San Luis Obispo County, Monterey County, Kern County, Salinas, the Greater Bakersfield, Santa Barbara, Solvang, Santa Ynez, Buellton, Kettleman City, Lompoc, Vandenberg AFB, and LA.Nice & Reliable! **TRD Off-Road/SR5 Package**, **Cold Weather Package**, **Bluetooth®**, **Fog Lights**, **SIRIUSXM Radio**, **Towing Package**, **JBL Premium Audio, **Bed Liner**, **Heavy Duty Battery**, plus more! CARFAX One-Owner. Displayed in Super White with Graphite interior. RWD. 6-Speed Automatic Electronic Transmission. i-Force 5.7L V8 DOHC Motor. **1 Owner Clean Carfax**, **Bluetooth®**, **Central Coast Local Vehicle**, **Fog Lights**, **Heated Seats**, **Keyless Entry**, **Keyless Start**, **One Owner**, **Sirius XM Radio**, **Third Row Seating**, **Daytime Running Lights**, **Roof Rack**, **Alloy Wheels**, **OnStar**, **Power Liftgate**, **Bose Premium Sound**. CARFAX One-Owner. Clean CARFAX. Tungsten Metallic FWD 6-Speed Automatic Odometer is 5691 miles below market average! 3.6L V6 SIDI www.alfanomotorcars.com www.alfanochevrolet.com www.alfano.mercedesdealer.com Excellent Selection of New and Used Vehicles, GM, Chevrolet, Mercedes, Financing Options, Credit Union, CUDL, Proudly Serving San Luis Obispo, Paso Robles, Atascadero, Arroyo Grande, Pismo Beach, Nipomo, Santa Maria, Shell Beach, Avila Beach, Grover Beach, Santa Margarita, Templeton, Morro Bay, Cayucos, Cambria, Los Osos, Salinas, Fresno, Selma, Sanger, Visalia, Bakersfield, Ventura, Oxnard, 5 Cities, Central Coast, Gold Coast, Coast, King City, Santa Barbara County, San Luis Obispo County, Monterey County, Kern County, Salinas, the Greater Bakersfield, Santa Barbara, Solvang, Santa Ynez, Buellton, Kettleman City, Lompoc, Vandenberg AFB, and LA. **1 Owner Clean Carfax**, **Bluetooth®**, **Central Coast Local Vehicle**, **Fog Lights**, **Heated Seats**, **Keyless Entry**, **Keyless Start**, **One Owner**, **Sirius XM Radio**, **Third Row Seating**, **Daytime Running Lights**, **Roof Rack**, **Alloy Wheels**, **OnStar**, **Power Liftgate**, **Bose Premium Sound**. **Bluetooth®**, **Keyless Entry**, **Leather**, **Sirius XM Radio**, **Sport Pkg**, **harmon/kardon Premium Audio**, **Alloy Wheels**, **MB-Tex Upholstery**, and more! Displayed in Polar White with Almond/Beige interior. RWD. 7G-TRONIC PLUS 7-Speed Automatic Transmission. Scoring 22/31 City/Highway MPG! 1.8L I4 DOHC 16V. Interested in this vehicle? Contact one of our professional client advisers at Alfano Motorcars for a test drive! 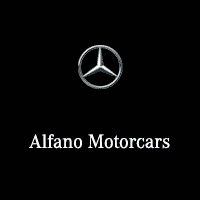 www.alfanomotorcars.com www.alfanochevrolet.com www.alfano.mercedesdealer.com Excellent Selection of New and Used Vehicles, GM, Chevrolet, Mercedes, Financing Options, Credit Union, CUDL, Proudly Serving San Luis Obispo, Paso Robles, Atascadero, Arroyo Grande, Pismo Beach, Nipomo, Santa Maria, Shell Beach, Avila Beach, Grover Beach, Santa Margarita, Templeton, Morro Bay, Cayucos, Cambria, Los Osos, Salinas, Fresno, Selma, Sanger, Visalia, Bakersfield, Ventura, Oxnard, 5 Cities, Central Coast, Gold Coast, Coast, King City, Santa Barbara County, San Luis Obispo County, Monterey County, Kern County, Salinas, the Greater Bakersfield, Santa Barbara, Solvang, Santa Ynez, Buellton, Kettleman City, Lompoc, Vandenberg AFB, and LA. **Bluetooth®**, **Keyless Entry**, **Leather**, **Sirius XM Radio**, **Sport Pkg**, **harmon/kardon Premium Audio**, **Alloy Wheels**, **MB-Tex Upholstery**, and more! Displayed in Polar White with Almond/Beige interior. RWD. 7G-TRONIC PLUS 7-Speed Automatic Transmission. Scoring 22/31 City/Highway MPG! 1.8L I4 DOHC 16V. Interested in this vehicle? Contact one of our professional client advisers at Alfano Motorcars for a test drive! 4-Speed Automatic with Overdrive, ebony Cloth. Clean CARFAX. Silver Ice Metallic RWD 4-Speed Automatic with Overdrive Vortec 4.8L V8 SFI VVT Flex Fuel www.alfanomotorcars.com www.alfanochevrolet.com www.alfano.mercedesdealer.com Excellent Selection of New and Used Vehicles, GM, Chevrolet, Mercedes, Financing Options, Credit Union, CUDL, Proudly Serving San Luis Obispo, Paso Robles, Atascadero, Arroyo Grande, Pismo Beach, Nipomo, Santa Maria, Shell Beach, Avila Beach, Grover Beach, Santa Margarita, Templeton, Morro Bay, Cayucos, Cambria, Los Osos, Salinas, Fresno, Selma, Sanger, Visalia, Bakersfield, Ventura, Oxnard, 5 Cities, Central Coast, Gold Coast, Coast, King City, Santa Barbara County, San Luis Obispo County, Monterey County, Kern County, Salinas, the Greater Bakersfield, Santa Barbara, Solvang, Santa Ynez, Buellton, Kettleman City, Lompoc, Vandenberg AFB, and LA.4-Speed Automatic with Overdrive, ebony Cloth. 4.4L V8 32V Twin Turbocharged, Black w/Dakota Leather Upholstery. Clean CARFAX. Black Sapphire Metallic RWD 6-Speed Automatic Odometer is 16875 miles below market average! 4.4L V8 32V Twin Turbocharged www.alfanomotorcars.com www.alfanochevrolet.com www.alfano.mercedesdealer.com Excellent Selection of New and Used Vehicles, GM, Chevrolet, Mercedes, Financing Options, Credit Union, CUDL, Proudly Serving San Luis Obispo, Paso Robles, Atascadero, Arroyo Grande, Pismo Beach, Nipomo, Santa Maria, Shell Beach, Avila Beach, Grover Beach, Santa Margarita, Templeton, Morro Bay, Cayucos, Cambria, Los Osos, Salinas, Fresno, Selma, Sanger, Visalia, Bakersfield, Ventura, Oxnard, 5 Cities, Central Coast, Gold Coast, Coast, King City, Santa Barbara County, San Luis Obispo County, Monterey County, Kern County, Salinas, the Greater Bakersfield, Santa Barbara, Solvang, Santa Ynez, Buellton, Kettleman City, Lompoc, Vandenberg AFB, and LA.4.4L V8 32V Twin Turbocharged, Black w/Dakota Leather Upholstery. CARFAX One-Owner. Clean CARFAX. Bright White Clearcoat with Light Frost/Brown interior. RWD. 8-Speed Automatic Transmission. 3.6L V6 24V VVT Motor. 4WD, ABS brakes, AM/FM radio: SIRIUS, Compass, Electronic Stability Control, Front dual zone A/C, Heated door mirrors, Heated front seats, Illuminated entry, Low tire pressure warning, Remote keyless entry, SIRIUS Integrated Satellite Radio, Traction control. Black 4WD 6-Speed Automatic Electronic Odometer is 37895 miles below market average! EcoBoost 3.5L V6 GTDi DOHC 24V Twin Turbocharged www.alfanomotorcars.com www.alfanochevrolet.com www.alfano.mercedesdealer.com Excellent Selection of New and Used Vehicles, GM, Chevrolet, Mercedes, Financing Options, Credit Union, CUDL, Proudly Serving San Luis Obispo, Paso Robles, Atascadero, Arroyo Grande, Pismo Beach, Nipomo, Santa Maria, Shell Beach, Avila Beach, Grover Beach, Santa Margarita, Templeton, Morro Bay, Cayucos, Cambria, Los Osos, Salinas, Fresno, Selma, Sanger, Visalia, Bakersfield, Ventura, Oxnard, 5 Cities, Central Coast, Gold Coast, Coast, King City, Santa Barbara County, San Luis Obispo County, Monterey County, Kern County, Salinas, the Greater Bakersfield, Santa Barbara, Solvang, Santa Ynez, Buellton, Kettleman City, Lompoc, Vandenberg AFB, and LA.4WD, ABS brakes, AM/FM radio: SIRIUS, Compass, Electronic Stability Control, Front dual zone A/C, Heated door mirrors, Heated front seats, Illuminated entry, Low tire pressure warning, Remote keyless entry, SIRIUS Integrated Satellite Radio, Traction control. Blind Spot Assist, harman/kardon® Sound System, Heated Front Seats, KEYLESS GO®, Premium 1 Package, SiriusXM Satellite Radio. CARFAX One-Owner. Clean CARFAX. Night Black FWD 7-Speed Double-clutch 24/36 City/Highway MPG 2.0L I4 Turbocharged www.alfanomotorcars.com www.alfanochevrolet.com www.alfano.mercedesdealer.com Excellent Selection of New and Used Vehicles, GM, Chevrolet, Mercedes, Financing Options, Credit Union, CUDL, Proudly Serving San Luis Obispo, Paso Robles, Atascadero, Arroyo Grande, Pismo Beach, Nipomo, Santa Maria, Shell Beach, Avila Beach, Grover Beach, Santa Margarita, Templeton, Morro Bay, Cayucos, Cambria, Los Osos, Salinas, Fresno, Selma, Sanger, Visalia, Bakersfield, Ventura, Oxnard, 5 Cities, Central Coast, Gold Coast, Coast, King City, Santa Barbara County, San Luis Obispo County, Monterey County, Kern County, Salinas, the Greater Bakersfield, Santa Barbara, Solvang, Santa Ynez, Buellton, Kettleman City, Lompoc, Vandenberg AFB, and LA.Blind Spot Assist, harman/kardon® Sound System, Heated Front Seats, KEYLESS GO®, Premium 1 Package, SiriusXM Satellite Radio. 19" AMG® 5-Spoke Alloy Wheels, 3-Spoke AMG® Sport Steering Wheel, Adaptive Highbeam Assist, Blind Spot Assist, Electronic Trunk Closer, Full-LED Headlamps, Heated & Active Ventilated Front Seats, KEYLESS GO®, Lane Keeping Assist, Lane Tracking Package, Manual Mode for Transmission, PARKTRONIC, Power Rear Window Sunshade, Premium 1 Package, Rear-View Camera, Wheel Package Plus 1. CARFAX One-Owner. Clean CARFAX. Diamond White Metallic RWD 7G-TRONIC PLUS 7-Speed Automatic 18/27 City/Highway MPG 4.7L V8 DGI DOHC 32V Twin Turbocharged www.alfanomotorcars.com www.alfanochevrolet.com www.alfano.mercedesdealer.com Excellent Selection of New and Used Vehicles, GM, Chevrolet, Mercedes, Financing Options, Credit Union, CUDL, Proudly Serving San Luis Obispo, Paso Robles, Atascadero, Arroyo Grande, Pismo Beach, Nipomo, Santa Maria, Shell Beach, Avila Beach, Grover Beach, Santa Margarita, Templeton, Morro Bay, Cayucos, Cambria, Los Osos, Salinas, Fresno, Selma, Sanger, Visalia, Bakersfield, Ventura, Oxnard, 5 Cities, Central Coast, Gold Coast, Coast, King City, Santa Barbara County, San Luis Obispo County, Monterey County, Kern County, Salinas, the Greater Bakersfield, Santa Barbara, Solvang, Santa Ynez, Buellton, Kettleman City, Lompoc, Vandenberg AFB, and LA.19" AMG® 5-Spoke Alloy Wheels, 3-Spoke AMG® Sport Steering Wheel, Adaptive Highbeam Assist, Blind Spot Assist, Electronic Trunk Closer, Full-LED Headlamps, Heated & Active Ventilated Front Seats, KEYLESS GO®, Lane Keeping Assist, Lane Tracking Package, Manual Mode for Transmission, PARKTRONIC, Power Rear Window Sunshade, Premium 1 Package, Rear-View Camera, Wheel Package Plus 1. 4WD. 4WD 6-Speed Automatic Electronic with Overdrive Vortec 5.3L V8 SFI Flex Fuel www.alfanomotorcars.com www.alfanochevrolet.com www.alfano.mercedesdealer.com Excellent Selection of New and Used Vehicles, GM, Chevrolet, Mercedes, Financing Options, Credit Union, CUDL, Proudly Serving San Luis Obispo, Paso Robles, Atascadero, Arroyo Grande, Pismo Beach, Nipomo, Santa Maria, Shell Beach, Avila Beach, Grover Beach, Santa Margarita, Templeton, Morro Bay, Cayucos, Cambria, Los Osos, Salinas, Fresno, Selma, Sanger, Visalia, Bakersfield, Ventura, Oxnard, 5 Cities, Central Coast, Gold Coast, Coast, King City, Santa Barbara County, San Luis Obispo County, Monterey County, Kern County, Salinas, the Greater Bakersfield, Santa Barbara, Solvang, Santa Ynez, Buellton, Kettleman City, Lompoc, Vandenberg AFB, and LA.4WD.